We use the HOST Dry Extraction Cleaning System which uses environmentally preferred, Green Seal Certified cleaning products that deep cleans your carpets quickly and easily. HOST is a safe and effective green floor cleaning system made from 100% plant-based resources and a little bit of green cleaning chemistry. 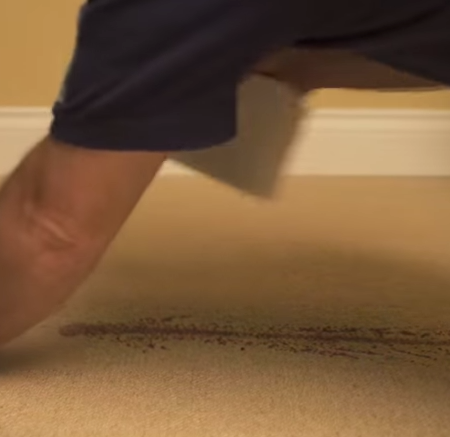 Carpets do not re-soil as quickly because there is no sticky residue to grab and hold fresh soil. Because the Host Carpet Cleaning system does not contribute to re-soiling, regular, frequent vacuuming keeps the carpet cleaner for longer. A simple and fast method for deep cleaning your upholstered furniture anytime without the inconvenience of getting it wet. Great for cleaning all types of fabrics including velvet, jacquard, weaves, tapestry, brocades and leather. 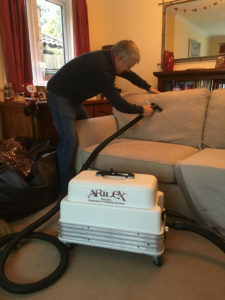 The Aridex® machine has a powerful wet/dry vacuum to pre-vacuum the upholstery before cleaning. The Aridex® machine has a powerful wet/dry vacuum to pre-vacuum the upholstery before cleaning. The machine converts detergent solution into a dry dense foam with only 10% moisture. 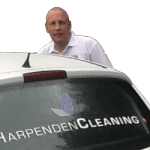 When homeowners need a reliable upholstery cleaner or carpet cleaner in Harpenden, they contact Grant Hollier of Harpenden Cleaning. 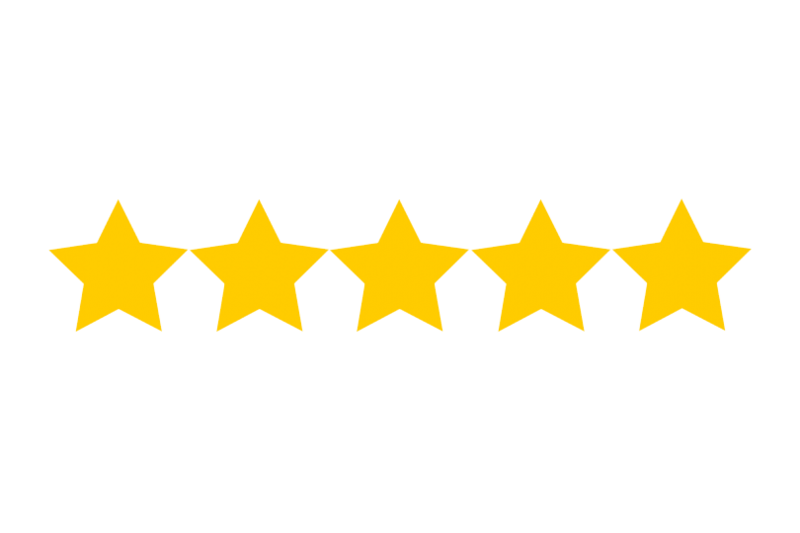 For years, Grant has been leading the way in domestic and commercial carpet and upholstery cleaning. With a reliable and friendly service using only the very best in machinery and equipment. Lifts and revives matted carpet pile. Deep cleans and removes soil & spots. 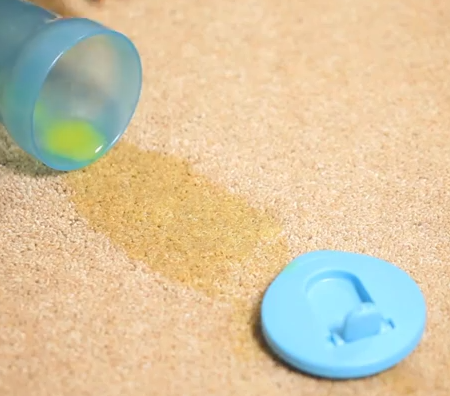 No sticky detergent residue to attract new soil so your carpets stay clean longer. You will never worry about damage from mildew, split seams or shrinkage. Carpets are left dry and ready for immediate use. Grant has been providing carpet and upholstery cleaning services in Harpenden and throughout Hertfordshire for nearly a decade.